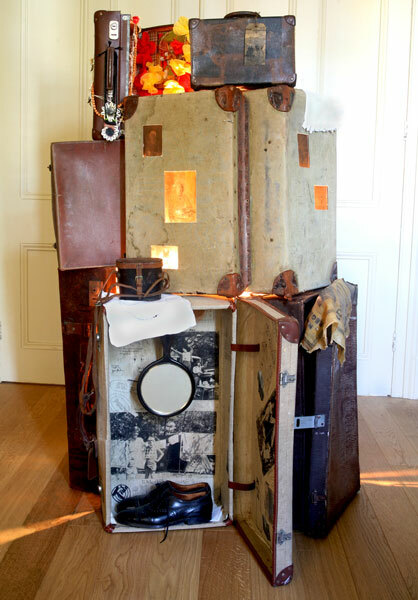 A suitcase contains a collection of items that we consider essential or significant at a particular time or on a particular occasion. 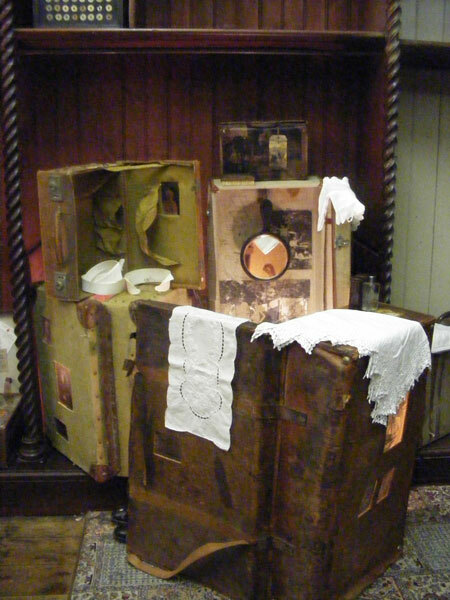 In the Ellis Island museum, New York and the Judisches Museum, Berlin it was poignant to see the possessions that migrants and escapees chose to take with them such as family photographs, a hairbrush or some family linen. It seemed to be an attempt to take their past and heritage with them. In this piece I have tried to capture this sense of identity encapsulated in a bag.